Pohjanranta is a bay in the northern part of the lake Pieni Rautjärvi. The lake's shoreline waters are shallow and partly surrounded by shore meadows and fields. The meadows in Pohjanranta are among the the best shore meadows in Parikkala. Pohjanranta is a bay in the northern part of the lake Pieni Rautjärvi. The lake’s shoreline waters are shallow and partly surrounded by shore meadows and fields. The meadows in Pohjanranta are among the the best shore meadows in Parikkala. A hill called Kuposenmäki is located by the eastern side of the bay. The hill offers magnificent views over the lake Pieni Rautjärvi. The landscapes of the Kuposenmäki and the near-by village of Tarnala are protected as nationally valuable landscapes. Spring: The shallow meadows of the bay entice geese, swans and ducks. 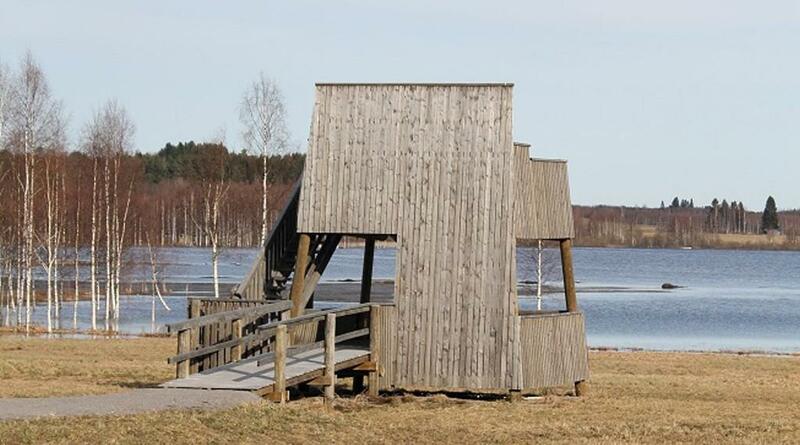 The northernmost part of the bay is the best site for watching waders in Parikkala. Summer: There are several bird species nesting in the bay area, for example, swans, common cranes, western marsh harriers, western yellow wagtails, garganeys, and plenty of all kinds of ducks. The bushes by the shores of the bay are popular among night singers. Autumn: In autumn the reeds are filled with ducks. In October it is possible to watch the arctic migration. Each year thousands of geese stop by the lake Pieni Rautjärvi. Kuposenmäki hill is a good place for watching the geese especially in the evenings. The migration route of the geese passes directly over the hill. Besides the migrating geese, it is also possible to watch migrating birds of prey. 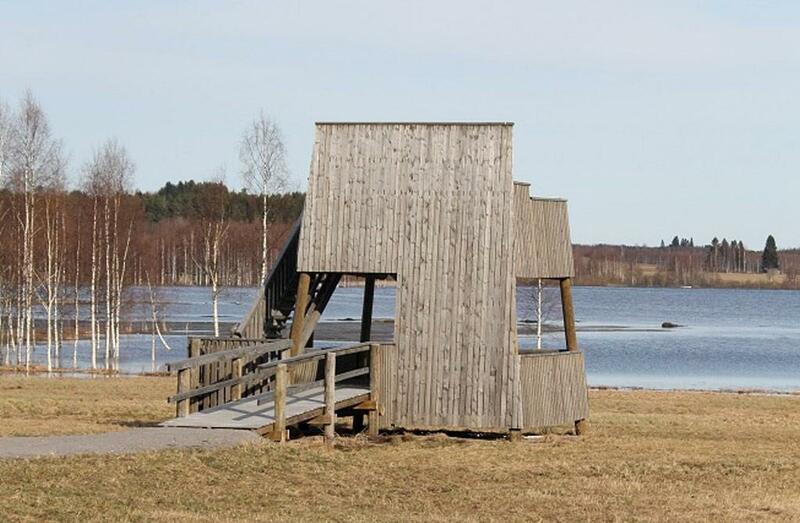 Pohjanranta birdwatching tower is located close to highway 6. From the highway, turn to the direction of Tarnala and Uukuniemi. The signpost reads Uukuniemi 25. Drive for one kilometre until you see a lake scenery on the right side of the road. Driving directions to Kuposenmäki hill. Drive to the direction of Tarnala village. On the right side you will a sign ”Maisemakylä”, which has a meaning of a village with a beautiful landscape. After the sign you must turn to right to a small road. Drive for one hundred metres until you reach crossroads. Stop by the crossroads, there is a space for parking several cars. Take the road on the left and walk for hundred metres until you reach the top of the hill. There is a lean-to shelter, fireplace site and a toilet by the hill.